A prescription is more than just a piece of paper. For some, it’s a pathway to living a better life. For others, it’s a pathway to stay alive. But that piece of paper is worthless if you can’t afford your medication and for too many Mainers the cost of prescription drugs is out of reach. In Maine, a single vial of insulin for someone living with Type 1 diabetes is about $450, which means some Mainers pay thousands of dollars a month for a medicine that helps them stay alive. Across the Saint John River, in Canada, the same vile of insulin costs about $20. That’s outrageous and it’s only part of the problem. There’s no reason Mainers should have to pay more for prescription medicine than our Canadian neighbors. There’s also no reason families should be stuck choosing between lifesaving medicine and basic essentials such as groceries and heating oil. Solving this crisis is complicated but the core issue isn’t. The high cost of prescription drugs in this state and country is driven by greed. With our bold reform package, Democrats in the Maine Legislature are fighting this issue from all angles. We’re working to make prescription drugs more affordable and more accessible while holding corporations and middlemen behind these high prices accountable. The first set of bills deal with importing prescription drugs from Canada, a country with similar quality and safety standards. I’ve introduced two bills to make it legal to do what many consumers are already doing — ordering the same drug they would get in Maine from a Canadian pharmacy for a fraction of the cost. And who can blame them? Other states are already looking into this. These bills will provide some relief but importation is only a piece of the puzzle. The more you examine the prescription drug crisis, the more you find corporate interests profiting at the expense of real people. Take pharmacy benefit managers (PBMs) for example. Ever heard of them? Most people haven’t. And they like it that way. 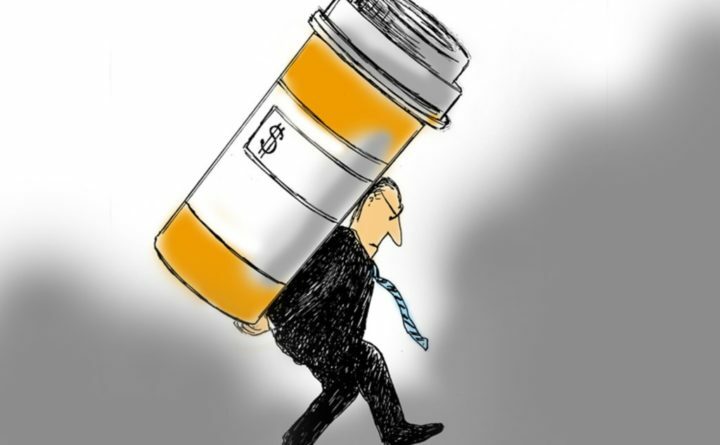 PBMs are middlemen in the prescription drug world. They’re behind decisions about which drugs are covered by your health insurance and how much you have to pay. But the system is rigged. The higher the price a manufacturer sets for a drug, the more PBMs stand to make. And all the secrecy makes it difficult to determine how much PBMs add to the cost. This is why Sen. Heather Sanborn has introduced legislation to ensure the savings PBMs claim to generate are passed to the consumer. Another bill from Sen. Eloise Vitelli focuses on drug pricing transparency. Her bill will gather more information from drug companies to understand how much it costs to make the medicine and how companies price medicine. There will be public hearings on these proposals next week, on April 16 and 17. I hope that you’ll be there – to share your story and testify in favor of these bills. We know that “Big Pharma” will be there fighting to block any major reform. Make no mistake: “Big Pharma” has a lot to lose and they and other groups aren’t going to go quietly. Drug companies are selling almost half a trillion dollars’ worth of prescription drugs a year — and that means big profits they don’t want to give up. PhRMA — the lobbying group that represents these massive drug companies — has collected hundreds of millions of dollars to fight common-sense reforms. Judging by their record, they’ll try to scare consumers into thinking any change or reform will result in horrible outcomes. It’s what they did in Vermont, where a drug importation bill passed last year, and it’s what they are doing now in Florida. But the reality is, the biggest danger our reform bills pose is to “Big Pharma,” which might not be able to rake in extreme profits next year. For years, I’ve watched friends, families and neighbors struggle to pay for their prescription medicine. It’s hard to see, and I’m not someone who can sit by and let it get worse. I’m prepared to fight with everything I’ve got to lower the cost of prescription drugs for Maine people. That’s my commitment to you. Troy Jackson of Allagash is president of the Maine Senate.